Kelly Knowlton has joined LS3P Associates Ltd. as an architect. She has 12 years of architecture industry experience. She has a bachelor's degree in architecture from Auburn University. Ryan Benton has been promoted at CresCom Bank to regional market executive for the Charleston market. Previously, he was a senior vice president and commercial loan officer. He has a bachelor's degree in business administration from The Citadel. Alex Clark has been promoted at the S.C. Department of Commerce to marketing and communications director. Previously, she was deputy director. She has 15 years of marketing and communications experience. She has a bachelor's degree in hotel, restaurant and tourism management and a master's degree in international hospitality and tourism management, both from the University of South Carolina. Matt Angell has joined Palmetto Fusion as chief operating officer. He has more than 25 years of health-care industry experience. Most recently, he was a founder and COO of AcariaHealth in Houston. He has a bachelor's degree in pharmacy from the University of Texas at Austin. Brett Stacey has joined the Charming Inns team as innkeeper for the Wentworth Mansion. He has a bachelor's degree in business administration from Husson College. Melanie Ensminger has been promoted to president of David M. Gilston Insurance Agency Inc. Previously, she was vice president. 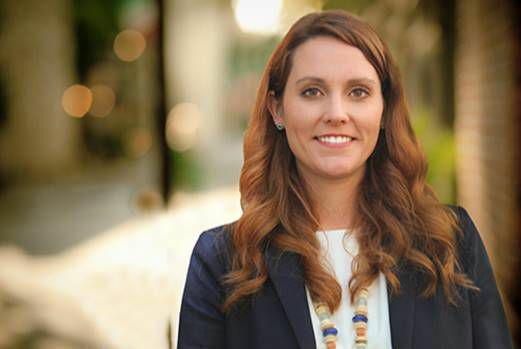 She has a bachelor's degree in business from the College of Charleston and a master's degree in management and human resources from Webster University. Lauren McFadden has joined K&L Gates as an associate attorney in the corporate and mergers and acquisitions practice group. She is based in the Charleston office. Previously, she was with Linklaters in New York. She has a bachelor's degree from the University of Georgia and a law degree from the University of Virginia School of Law. Adrienne Betenbaugh has joined exaqueo as marketing director. She has more then 12 years of marketing and agency experience. She has a bachelor’s degree from the University of South Carolina. Tina L. Singleton has joined the YWCA Greater Charleston as social justice coordinator. It is a newly created position. She has a master’s degree in community disability studies for developing countries from University College London. Cheryl Clements and Tim Clements have joined AgentOwned Realty as agents based in the Mount Pleasant office. She has a background in media advertising sales in the U.S. and Australia. He has a bachelor's degree from Allegheny College and has previous experience in sales management, advertising, and marketing. Shannon Siegel has joined Charleston Metro Homes as an agent. She has two master’s degrees and 16 years of experience in teaching and school administration. Julia Krebs-Haas has joined Charleston Real Estate Co. as an agent. She has a bachelor's degree in psychology and a master's degree in social work from the University of South Carolina. She has more than 20 years of experience in the home-building industry..
Glenn Cybulski has joined Charleston-based Stoner’s Pizza Joint as president and chief culinary officer. He has more than 25 years of culinary industry experience and has owned and operated numerous restaurants in northern California. Jonna Cook has been named director of health services at Bishop Gadsden Episcopal Retirement Community. Previously, she was director of assisted living. She has a bachelor’s degree in organizational management with a concentration in health care management and a master’s degree in organizational management with a concentration in health care analytics, both from Charleston Southern University. Johann Forrest has joined Gotcha as full stack engineer based in Charleston. Previously, he was with Snag. He has a bachelor’s degree in biochemistry from Clemson University.